Electronic trading techniques are being more commonly used in futures markets as the buy-side's mandates become increasingly multi-asset. A new study from research firm TABB Group has found US buy-side traders are looking for more efficient execution processes in futures and as a result are embracing direct market access (DMA) and algorithmic trading strategies for the vast majority of their futures trading. In 2012, the study forecast US buy-side firms would route 87% of their futures trading through electronic channels. Trading US futures has historically required little electronic execution, with market participants mostly placing voice orders. But Matt Simon, senior analyst at TABB, said as trading increased, volatility fluctuated, and products evolved, the emphasis on electronic trading tools had become more critical. He said as a result, larger buy-side firms were investing in automated solutions that helped them trade more efficiently – using tools which could both minimise trading costs and help execute more complex strategies. 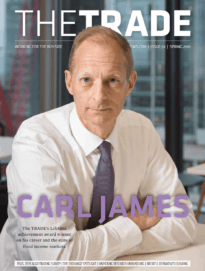 “Futures trading is a focus point for large buy-side firms – traditional long-only asset managers, hedge funds and commodity trading advisors (CTAs) – that are seeing growing volumes and making the requisite investments into automated solutions to self-direct more of their order flow, trade more efficiently, minimise trading costs and execute more complex trading strategies,” said Simon. Also driving change in US futures markets would be G20-manadated derivatives market reforms under the Dodd-Frank Act. New regulation was pushing OTC swaps onto newly-created swap execution facilities (SEFs), and Simon said as swaps trading became more automated, the ability of traders to use interest rate futures and other related instruments as part of overall strategies became more attractive. 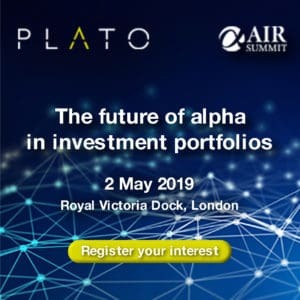 “The futures markets are about to become a lot more competitive,” said Simon, explaining that trading firms running futures-specific portfolios, including CTAs and hedge funds, will look to compete with more diversified institutions, refining their execution strategies to include automated trading tools that make execution practices more efficient. “As buy-side firms become more involved with futures, rising demand will prompt innovation, competition and a better environment for the brokerage industry,” he said.